You know what to do if your pumpkin survives pumpkin-smashing night, right? 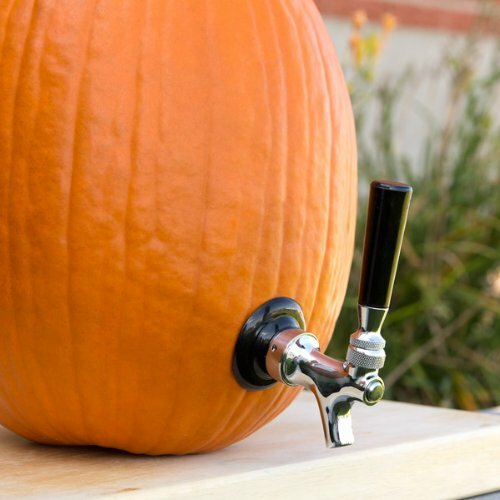 Turn it into a pumpkin drink dispenser with The Pumpkin Tap Kit ! Actually, you might want to use a fresh one, considering the tap turns the gourd into a big ol’ drink dispenser. And besides, those jack-o-lantern eyes, nose and mouth kind of make it hard to fill up with liquid. Hands up! Who wants some chocolate? Okay, we’ll try that again Fists in the air! Who wants some chocolate? 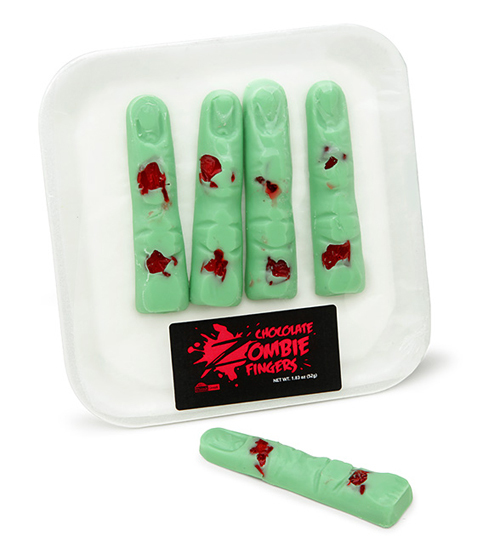 The Handmade (ahem) Chocolate Zombie Fingers come four to a pack. So while you are gnawing down on these this Halloween, keep an eye out for hitchhiking zombies. 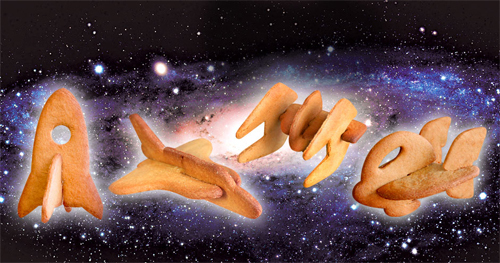 Don’t be left hungry for the Day of the Dead! But please, stay neat and tidy while preparing. 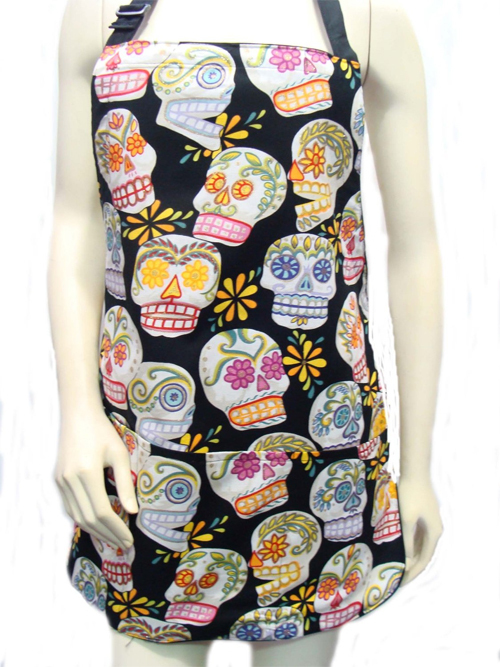 Above we see the US Handmande CALAVERAS SUGAR SKULLS ROCKABILLY SKELETON LATINO PATTERN COTTON FABRIC REVERSIBLE APRON, “2 APRONS IN 1”, APR 1016 . In case you are wondering, there are plenty more Sugar Skull Aprons where that one came from. Want to make your own sugar skull for Dia de los Muertos? Of course you do. Here’s how! How to make your own Day of the Dead Sugar Skull. Three hours is not enough. That’s how long the First Annual Sriracha Festival will last. Randy Clemens, author of two of the easiest books ever to be written in the history of ever (The Sriracha Cookbook: 50 “Rooster Sauce” Recipes that Pack a Punch and The Veggie-Lover’s Sriracha Cookbook: 50 Vegan “Rooster Sauce” Recipes that Pack a Punch ) is behind the idea along with Josh Lurie of Food GPS. 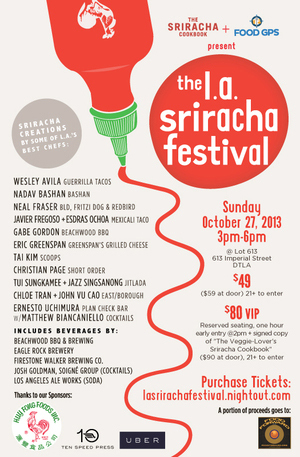 Considering that Sriracha goes with everything, perhaps there will be some surprises at the L.A. Sriracha Festival. It will cost you about $50 to find out on Sunday, October 27, from 3 pm to 6 pm at LOT 613 in the downtown L.A. Arts District. Or, you could just take that $50, go grocery shopping and just squirt some of that delicious, delicious hot sauce on anything and everything you buy. It will taste good. Then again, the festival is officially sponsored by the maker of the iconic condiment, Huy Fong Foods and David Tran will be making a special appearance. Shaking the hand of the man who changed condiment history might be worth it alone. Be sure to lick your fingers afterward.